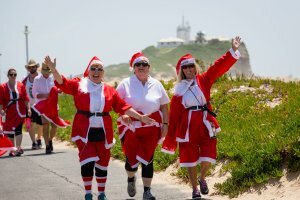 The Variety Santa Fun Run will be back in Newcastle on Sunday 2 Dec 2018. With a 5km and 10km route, the event is ideal for families and fun runners alike to get active and have some Xmas Fun. The route is fully inclusive and each participant will get a Santa suit to wear, to paint the city in red and support Variety – the Children’s Charity. Fundraise for Variety-the Children's Charity. If you too believe that all kids deserve a fair go in life, please consider fundraising for Variety - the Children's Charity. It’s super easy!.....just ask your friends, family and colleagues to support you in helping Aussie kids in need.